After coming out of an intensive architecture program, moving constantly and entering a high-stress work environment, I had recently hit an energy low. I started the Spent program, which is all about bring you back in balance with a natural rhythm through daily beats over 6 weeks, about a month ago and am really noticing a difference in my energy levels, mood and , believe it or not, my face. 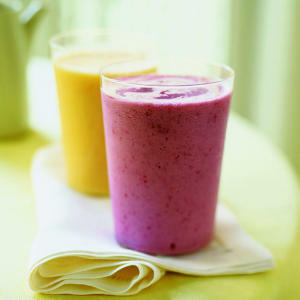 A few of the eliminations have been tough, but one thing I really enjoy are the morning smoothies. I think the key ingredient that gives these smoothies such a gorgeous texture is... avocado. Combine in a blender and blend 'til smooth. This is the perfect breakfast- quick, portable and packed with protein, good fats, fibre and phytonutrients. And delicious!